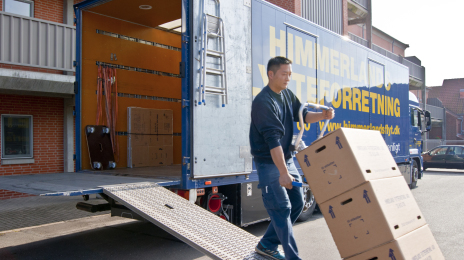 Himmerland Movers are experienced in international relocation projects, and we offer European and Intercontinental relocations - eg. relocations to- and from Great Britean, Germany, France, Norway, Sweden etc. When moving abroad it takes a great deal of coordination and knowledge about international shipping laws, customs regulations, road taxation, hours-of-service regulations etc. Himmerlands Movers has the necessary experience and expertice to gurantee a trouble free relocation project to- or from Denmark, at competetive rates. Contact us on Tel. +45 98 62 47 00 or info@himmerlandsflyt.dk to hear more about Your options or get a FREE price quote.